You'll need at least JDK 8 installed in your system. Make sure your e(fx)clipse installation uses this JDK when you launch your Eclipse instance! For the lazy ones who prefer an all-in-one download, we provide preconfigured packages so that you don't have to worry about all the different bits and pieces. For those who'd like to assemble their own e(fx)clipse installation based on Eclipse SDK we offer an installation guide which helps you get started. 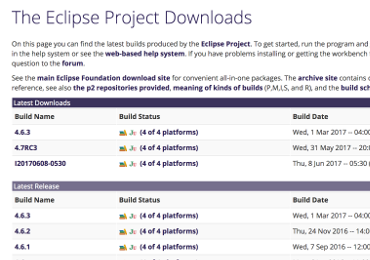 If you don't want to use update sites but prefer an all-in-one download those downloads are provided by an external website http://efxclipse.bestsolution.at because this distro packages also other plugins not available directly from Eclipse.org (e.g. subclipse). 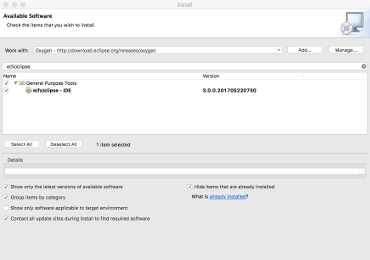 Since e(fx)clipse is part if the Eclipse Release Train you can install the e(fx)clipse tooling from the Release Train Updatesite (eg Neon, Oxygen) who is already preconfigured into your install. Download the latest release available. Fire up your Eclipse IDE if you have not done so already. 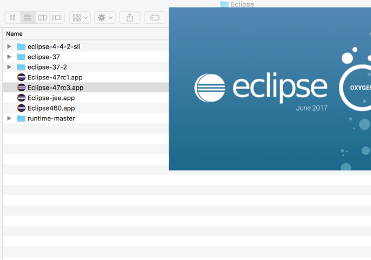 e(fx)clipse is an extension for your Eclipse IDE which is delivered as a so called p2 repository. Extensions like this can be installed using the "Install New Software" wizard. 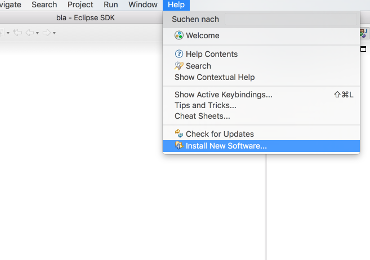 In the drop down select the release repository and in the filter enter e(fx)clipse and then let follow the Install Wizard to the end and restart Eclipse.